Xiaomi has unveiled its second-generation fitness tracker in India, the Mi Band 2. The new Xiaomi Mi Band 2 packs a lot of improvements over its predecessor including an Oled screen and the heart rate sensor. The 0.42-inch OLED display shows time, steps, heart rate and notification alerts. There is also an anodized physical button that lets you switch between different modes. The Mi Band 2 is IP67 certified that makes it resistant to water, sweat and dust. 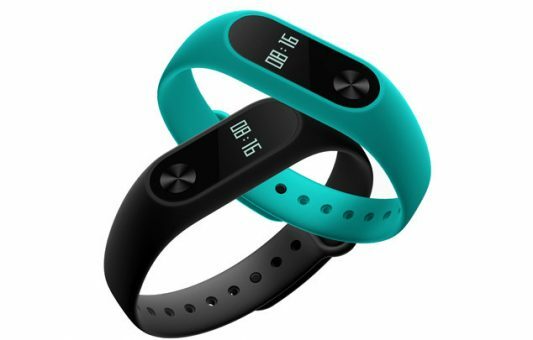 The fitness tracker features an military-grade ADI accelerometer and an upgraded pedometer algorithm. It also supports Bluetooth 4.0 (2nd-gen) for faster and more stable connections with a smartphone. Users can track their activities using the Mi Fit app that is available for both iOS and Android. The Xiaomi Mi Band 2 is priced at INR 1999. It will be available on mi.com from September 27th at 12pm and on Amazon.in from September 30th midnight.